My Little Pony: Power Ponies to the Rescue! Very Good. My Little Pony: Power Ponies to the Rescue! (Passport to Reading: Level 1) by Belle, Magnolia. Trade paperback (US). Glued binding. 32 p. Contains: Unspecified. Passport to Reading: Level 1 (Paperback). Intended for a juvenile audience. Good. My Little Pony: Power Ponies to the Rescue! (Passport to Reading: Level 1) by Belle, Magnolia, 2015-04-07. Trade paperback (US). Glued binding. 32 p. Contains: Unspecified. Passport to Reading: Level 1 (Paperback). Intended for a juvenile audience. Fine. 0316410853 Used Like-New: Reminder mark. 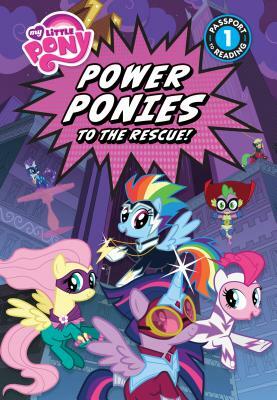 All Editions of My Little Pony: Power Ponies to the Rescue!